Police reports indicate no injuries during the early evening robbery that took place at the Caribena Fuels Gas Station, located on the Corner of Blake Street and Sea Grape Drive, San Pedro Town, on Saturday, May 19, 2018. The report states that Police responded to the robbery while it was in progress at the gas station that took place around 7:15p.m. Upon arrival Police set chase after and detained two male persons in the nearby bushes. Initial investigations reveal that the two males approached both gas station attendants Adolfo Victor Gongora Jr. and Jonathan Reyes and placed a knife on Gongora’s throat. They stole both of their black waist bags that contained $1,000.00Bze and $900.00Bze, respectively, from the day’s sale. Police are investigating. 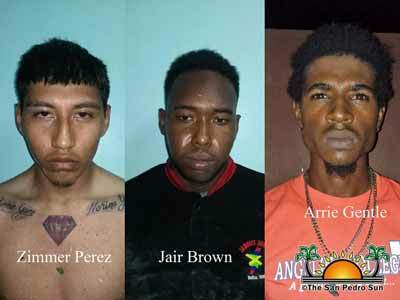 San Pedro Police have charged Zimmer Perez, Jair Brown, and Arrie Gentle for the Saturday, May 19th robbery at Caribeña Fuels Gas Station, south of San Pedro Town. According to reports, the assailants attacked the pump attendants with knives, stealing their waist bags containing money from the day’s sale. Police were alerted and soon arrested two of the thieves while they were trying to escape. The third person was apprehended hours after. Witnesses reported that one of the pump attendants was stabbed to the neck and rushed to the Dr. Otto Rodriguez San Pedro Polyclinic II, but the official police report did not confirm that detail. On Tuesday, May 22nd, all three men were arraigned at the San Pedro Magistrate Court and charged with robbery. Last edited by Moguai; 05/30/18 12:48 PM. 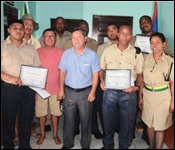 A handful of Island police officers were today awarded with a certificate and cash bonus for their bravery and quick response. 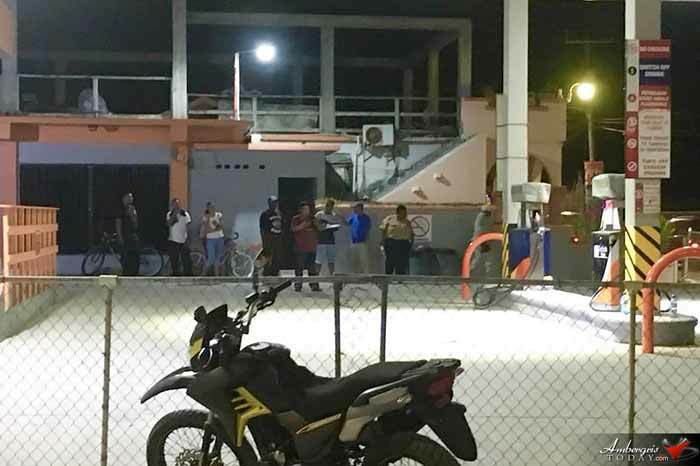 The San Pedro officers are the ones who responded immediately to the robbery of Caribena gas station on Friday night - and caught the suspects as they were escaping. The also recovered $1,900 dollars in stolen cash.